Set Savings of $335 $1,924 $2,259 if items purchased separately This 24-Pc. Santoku-Style Signature Set features super-sharp American-made cooking knives that deliver clean cuts and make prep work fast and easy. 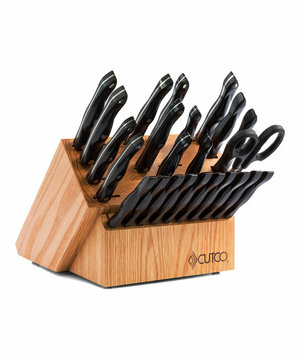 Complete with 10 Table Knives and an oak block that will safely store and protect the edges of your knives. Available with honey or cherry finish. $112 Impress your guests with beautiful thin fillets of salmon and tuna. The thin blade is sharp and flexible to remove the delicate skin from fresh fish. Perfect for making sushi, too. 9-7/8" Straight-edge blade. $150 THE knife for vegetable prep. Chop, slice and dice ingredients for soups, stews and vegetable platters. 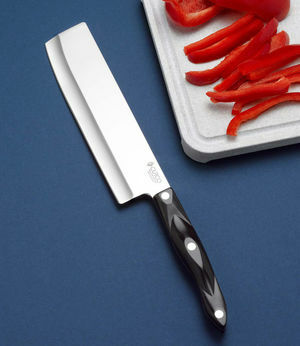 Its wide blade is perfect for moving ingredients from the cutting board to the pan. 7-3/4" Straight-edge blade. $205 A serious knife you can handle with confidence. 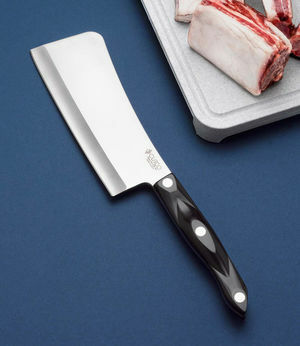 The thick, slightly curved blade is designed for easily disjointing chicken, turkey and duck. Separate frozen foods. Heavy-duty enough to pound and tenderize cutlets and powerful enough to crack spareribs. 7" Straight-edge blade. 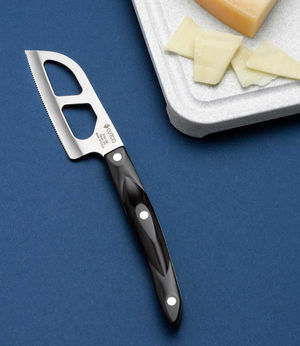 $79 This knife is designed for cutting small blocks of hard to soft cheeses. Perforations keep dense foods from sticking. Use tip to cut cheese packaging. A must-have for anyone who likes to entertain. Makes the perfect hostess gift. 3-3/4" Micro Double-D®-edge blade. $591 Sloping sides maximize the cooking surface. 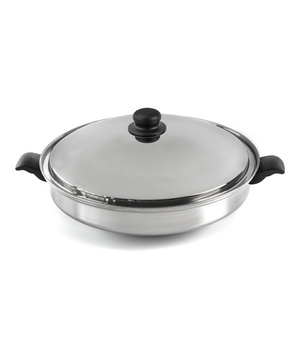 Small flat bottom works well for starting sauces when making a healthy stir-fry using a variety of ingredients. Induction capable.